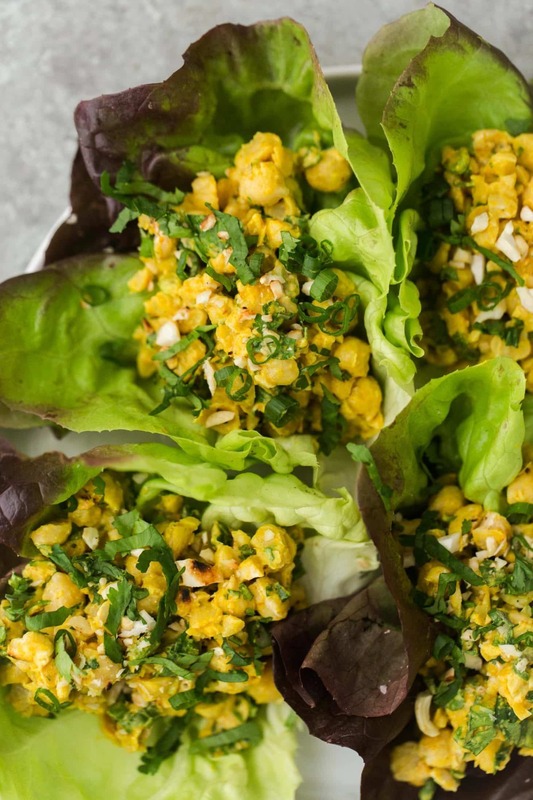 Curried Chickpea Salad Lettuce Wraps | Naturally. One of the best things to do when cooking is plan. Planning can help solve the “what’s for dinner” question and also prepare you for the next day. When I worked in an office, I found lunch to be the hardest part to plan. I’d think about it in the evenings and tell myself I’d get it in the morning. That never happened and inevitably I’d be grabbing something kind of junky out of desperation. February is dedicated to sharing recipes that can easily be made while making dinner. Each recipe I share will have a corresponding dinner recipe that shares ingredients (making it easier to throw together.) For this particular curried chickpea salad, I usually make it while I’m making this chickpea curry with cauliflower. The homemade curry powder takes everything up a notch and the only extra prep is chopping the chickpeas/scallions! This is the fourth (maybe fifth) chickpea salad I’ve shared on the site and with good reason. It’s fast to make, can be adapted to any taste, and may be the perfect vegetarian lunch. This curried chickpea version is my new favorite (then again, I love anything with curry.) Make up a big batch and eat it for a few days throughout the week. Pack this salad on a road trip or tuck it away in your carry on for a snack mid-flight-it’s great for so many meals/snacks. Taking roughly 1/2 to 1 cup at a time of the chickpeas, place on a cutting board and roughly chop into pieces. (Alternatively, place the chickpeas in a bowl and mash with the back of a fork). Measure in the remaining ingredients. Stir until well combined, taste and adjust seasonings/salt and desired. 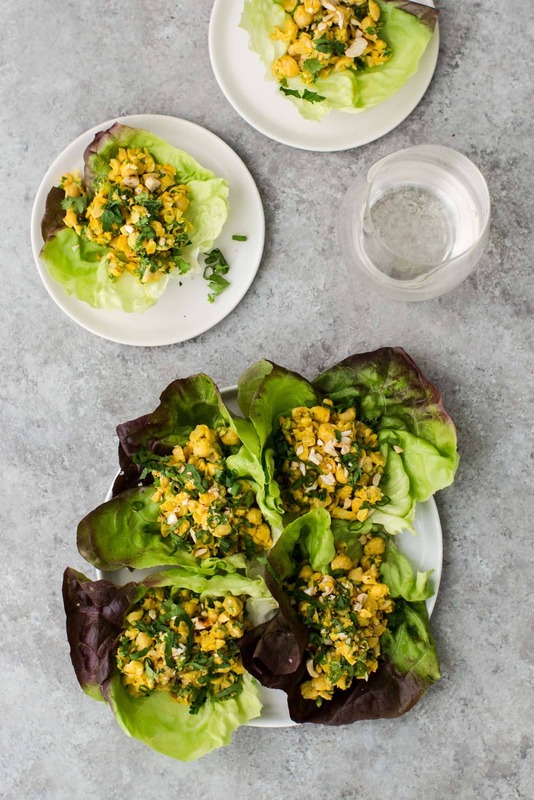 Divide chickpea mixture into lettuce cups and serve. If you are wanting to make this ahead of time, the chickpea mixture will keep for a few days. Then assemble lettuce wraps as needed, right before serving. 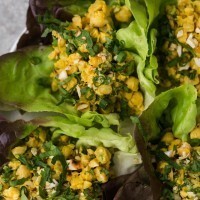 Serving: Skip the lettuce wrap and toss this curried chickpea salad on a bed of spinach or stuff it in a pita or wrap. Curry Powders: There are endless amounts of different curry powders/recipes out there. 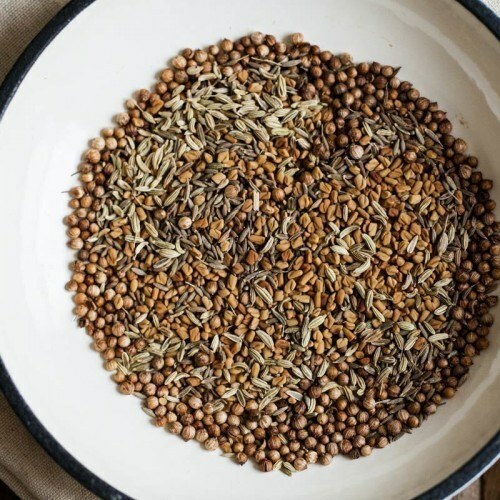 This is a great recipe to use as a base to find which curry powders are right for you. Yet again, you’ve created a dreamy recipe! Looks like a tasty, healthy meal or snack. Like you say, you could easily take this on the go. And very versatile. Personally I plan to add black beans and quinoa.